Leagility is a strategic concept that represents a combination of lean and agile. Lean is assumed to be a cost-based strategy that is appropriate in a forecast-driven context upstream of the customer order decoupling point (CODP). Agile is the corresponding flexibility-based strategy in a customer-order-driven context downstream of the CODP. Competitive advantage is based on that the position of the CODP is aligned with the market requirements. In a dyad setting this alignment can be realized with relative ease but in a triad setting it becomes more complicated if both supply actors pursue a leagile strategy. If lean based purchasing faces an agile based delivery strategy or the opposite, where agile based purchasing faces a lean based delivery strategy, the interface is misaligned. 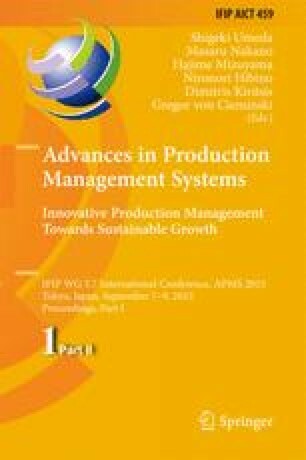 In this paper, four interface configurations are identified and empirical examples of each are given based on a case study. This research has been performed in collaboration with six companies in the projects KOPeration and KOPtimera. The projects are funded by the Swedish Knowledge Foundation (KKS), Jönköping University and the participating companies. In particular the authors would like to express their gratitude to Parker Hannifin in Trollhättan, Sweden.